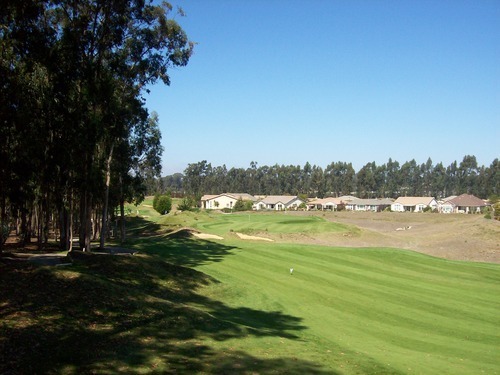 The main “excuse” for my latest little jaunt up the coast was that I had a Greenskeeper.org event I was playing in on Saturday at Monarch Dunes Golf Club in Nipomo. Now, I’ve mentioned GK a lot on this site and it has really opened up a lot more social opportunities for me when it comes to golf. Sometimes, the life of a Golf Nomad can be kind of lonely, so any opportunity to tee it up with some friends (old and new) is worth taking advantage of. These events are casual and fun. It’s not serious competition, but just a lot of golf lovers getting together for some good times out on the links. 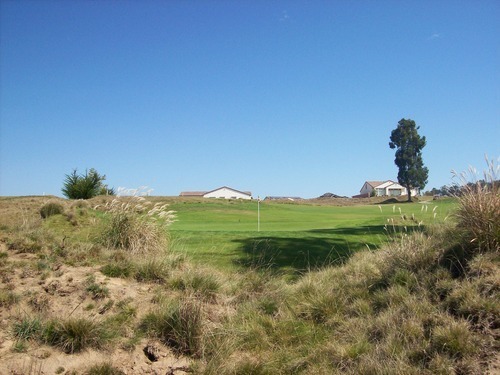 A bunch of other GKers from Southern California had headed up the coast toward Nipomo on Friday and many of them met up to play La Purisima in Lompoc. 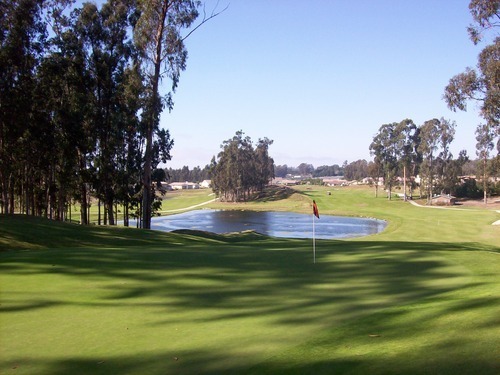 That happens to be one of my favorite courses in the area. Had the timing of this event not coincided with my 250th course milestone, I probably would have joined them there. But I had other priorities this time and decided to head further up the coast in search of new courses for my list. That doesn’t mean I wanted to shirk my social opportunities, though. I knew several of them were getting together for dinner on Friday night at A.J. Spurs in Buellton. I didn’t think I was going to make it there in time to meet them, but I got into Santa Maria (about a half hour north of Buellton) much earlier than expected and decided I would try and meet them at the restaurant. I got there and saw many familiar faces. I met a few new folks, as well, and we all broke bread together at this western-themed restaurant. The portions were huge and the food was delicious (especially the family-style stew, baked beans and fried potatoes with onions). Each dinner came with a small root beer float for dessert (or some sweet liqueur, if you prefer). I was too full to really enjoy it, but it was a nice touch to top off a great meal. There really wasn’t much on the line in this outing, but we did have closest-to-the-pin competitions on each hole (I won hole #4) to make things a little more interesting. Apparently, there has never been a hole-in-one at a GK event and the founder, JohnnyGK, was really hoping The Challenge Course would provide at least one. He was in my group. I can’t speak for the other groups, but our priority was firing at the pins and trying to get that elusive ace. We had a couple of decent attempts, but we didn’t succeed in that mission. Nobody else did, either. Oh well. It will happen someday when they’re least expecting it. 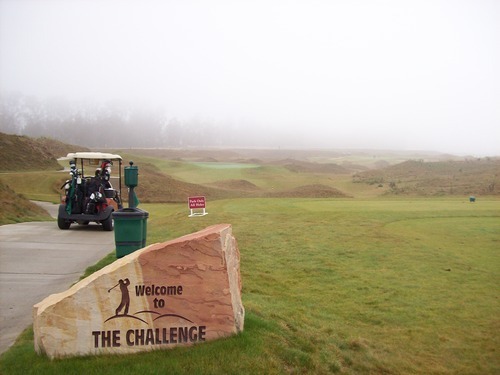 As I grew accustomed to on the rest of my trip, it was super foggy in the morning as we played The Challenge Course. We could barely see anything on the first few holes we played, but could tell by a distinctive “thud” sound whenever someone hit a green. 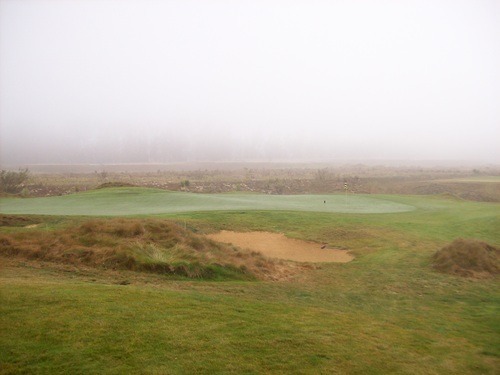 The fog added some fun and appropriate atmosphere as if we were playing out on the moors of Scotland or something. The Challenge Course was in solid condition all around. 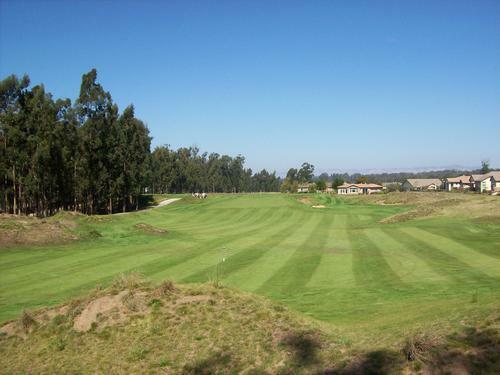 The greens here are bit large and feature some crazy undulation in places, which just adds to the fun. 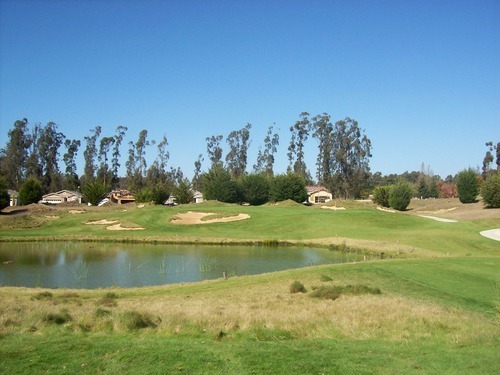 It’s not a place where you really take your score too seriously, but you just go out there with your buddies and have an enjoyable little adventure on a unique par-3 course. I know we sure had a lot of fun out there! 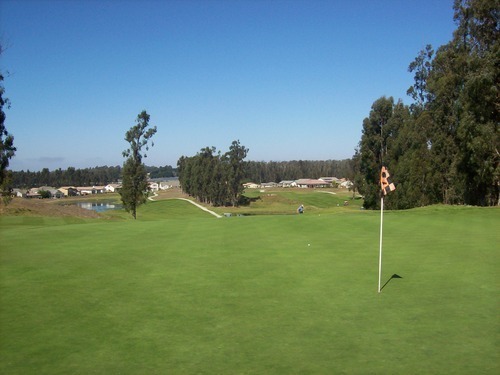 Whether it the goofing around on the early round, the stiffness of my body from in between the rounds or the soreness of my muscles from my three day’s worth of driving and playing golf, something was definitely “off” with my game in the afternoon round. Oh well, it was still fun as the sun came out before the round and the Central Coast weather was absolutely perfect for us the rest of the day. 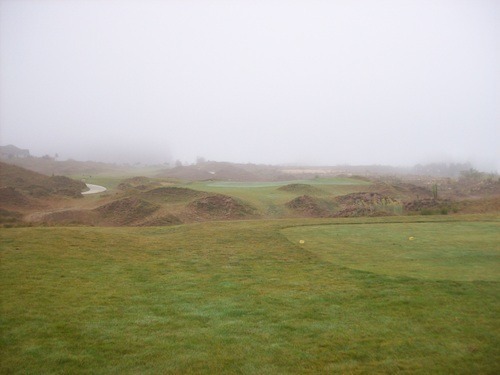 I had first played Monarch Dunes last October. 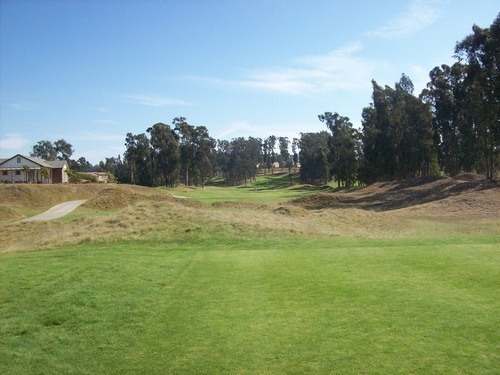 It was a course I was always interested in playing, but even though it was nice, but The Old Course didn’t fully live up to my expectations the first time around. It’s a neat course with some cool aesthetic touches and unique design features. 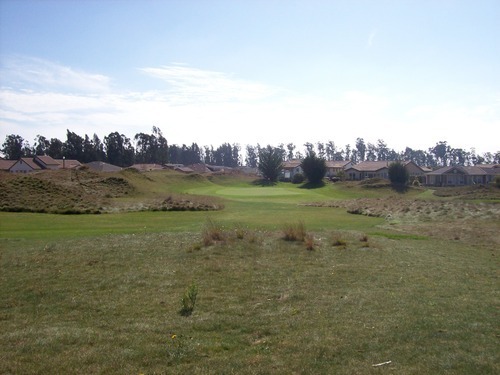 Big grass mounds and nasty bunkers shape the contours of the course, but the fairways are relatively wide and forgiving. So those mounds don’t come into play a ton. A lot of the greens are elevated, which makes for some uncomfortable approach shots. It’s hard to see the undulation around the holes from below, so it isn’t always easy to take a confident swing or select the right club. The greens here are very tricky. They are pretty big and have plenty of undulation to keep you guessing. 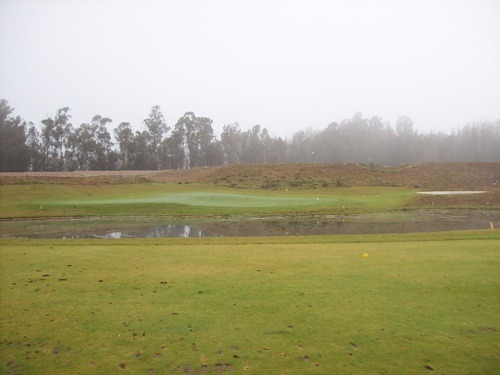 They were my least favorite part of the course last time I played here because they were hard as rocks and it was impossible to have much shot control on your approaches. The greens Saturday were in much nicer shape. They weren’t quite as “firm,” but still had a bit of a trampoline effect, so balls would still take some unexpected and unfortunate hops. They were much more manageable and they were excellent surfaces to putt on with quick speeds. Overall, The Old Course was in better shape than the last time I played there. 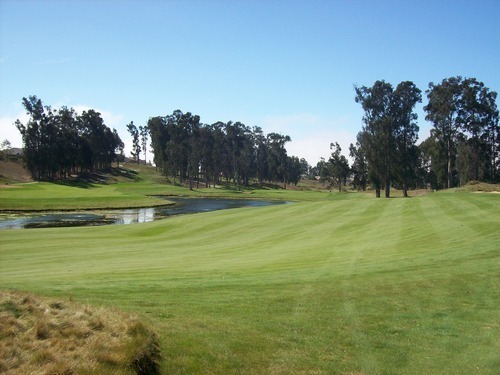 The fairways were lush and green. The first cut of rough isn’t too punishing here, but there is some super deep and nasty stuff around the bunkers and on those aforementioned grass mounds that appear on every hole. Basically, you want to stay out of that stuff at all costs! 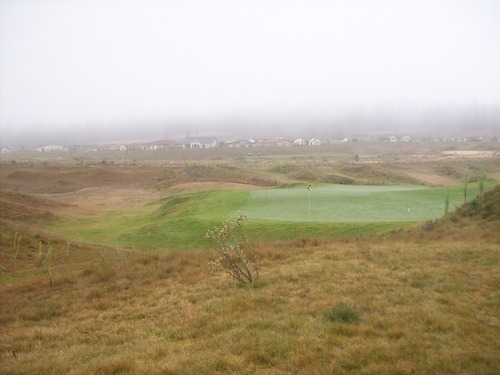 I also appreciated the layout more this time, though there is still something about Monarch Dunes that doesn’t completely win me over. 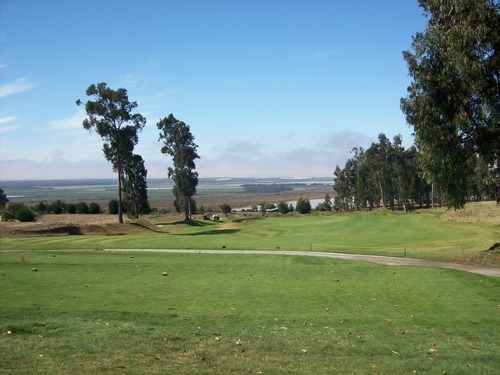 There are a lot of big eucalyptus trees on the course (which do come into play a lot), creating some very pretty holes. 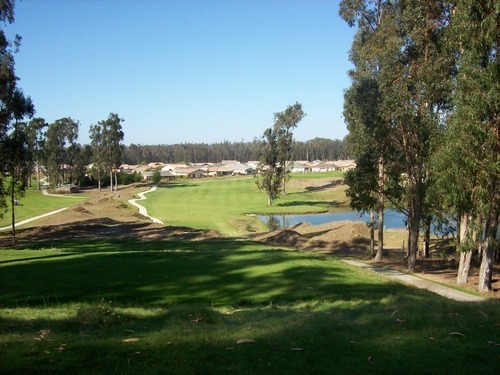 Overall, I like the course and the setting, and I’m sure I’ll play here again, but in my mind it doesn’t rank as high as others in the area like La Purisima, for instance. One thing I did like was that they switched the nines since last year. 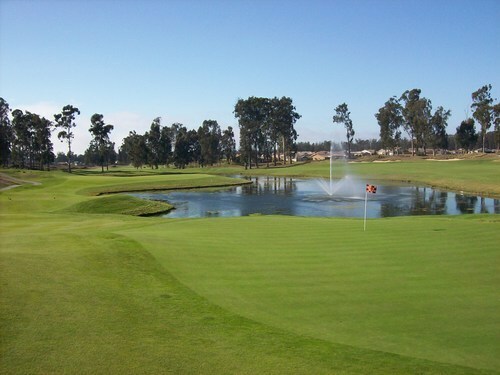 Normally, I hate when courses mess with the routing, but it works well at Monarch Dunes. 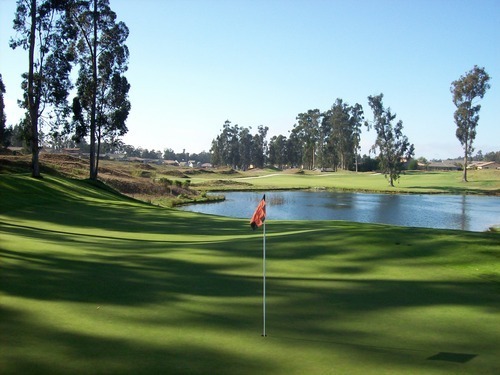 15-18 are among the best holes here (15 is their “signature” hole) and it makes for a better finish to the round as you build up to these most memorable holes. 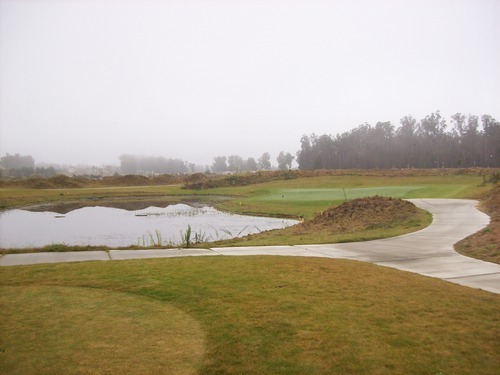 The only drawback is now the 1st hole (formerly the 10th) is very funky and extremely challenging. It’s a very awkward hole to start on. That said, the old 1st hole (now the 10th) is a funky/tough one in its own right, so either way the course has an unconventional start. It was another great GK event and a wonderful way to cap off my mini trip up the coast. 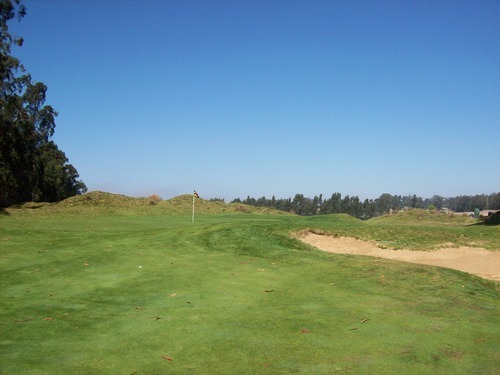 I had a lot of fun and got to enjoy some excellent golf courses. I was pretty exhausted by the time I got home late Saturday night, but it was worth it as always! A Little Rest. A Lot of Reflection.